Weeks ago and maybe months :), I talked about distance vector protocols and with that you probably got the feeling that when using a distance vector protocol it does not give a full network graphical representation of the entire network. Only the directly connected routes can’t remember? Check out this post Distance Vector Routing. Link state protocols are faster to converge network changes compared to distance vector however when compared to distance vector setup they can be harder to set up, maintain, and troubleshoot when problems arise. Although the core design of a link-state protocol is like distance vector, meaning it will send updates to neighboring routers, it does this in an entirely different way. Routers that use link-state advertise every possible route in the network. This process is called flooding which means every router in the network has the same information. This information is stored in RAM and called the link-state database (LSDB). The link-state protocol uses this information for other process, like to calculate the “best routes” to each subnet. You can probably guess that when using a link-state protocol it will use more resources like CPU and memory compared to distance vector, Your’ right. Router LSA – Includes the a number to identify the router called the router ID. The router’s interface IP address, subnet masks, the state of link (Up or Down), and the cost of the interface. 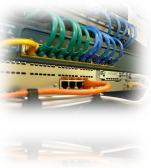 Link LSA- Which identifies each link the subnet and the routers that are attached to that link. It also identifies if the link is either up or down. These LSAs are created by the router and then floods the LSA to other routers their neighbors. The thing that makes link-state protocol a topic starter is that they look at the “Link” of the connection and advertise each interface even if the connection is up or down. The LSDB has information about not only the up and working routers, interfaces, and networks, but all routers and interfaces even if the interfaces are down. With link-state protocols it creates a complete network topology in each router unlike distance vector. Which IP Routing Protocols use Link-State? Take a guess! *EIGRP is considered a hybrid routing protocol (Uses the best of both Distance Vector and Link-State protocols) In some Cisco documentation EIGRP is also referred to as an advance distance vector protocol. Link-State Protocols converge much quickly than distance vector, they do consume more RAM and CPU when compared to distance vector. They avoid routing loops by default unlike with distance vector which requires more features like split horizon. Distance vector is easier to set up when compared to link-state which requires more thought when configuring it correctly. I have opened another door towards the ICND2 path, so let’s stop for now and let it sink-in. Like always you have power of the internet at your hands if you can’t wait a simple search will do. As I always say I hope this information is helpful and if you have an idea of the next topic that I should talk about that deals with ether ICND1 or ICND2 let’s hear it! Thanks for your hard work, I’m studying Cisco and just needed to understand a little bit more about LS. I’ll do let it sink first before going to other topic lol.